Ticket prices at Disneyland Paris set to increase after sales tax rise. Ticket prices at Disneyland Paris are expected to rise after French President Nicolas Sarkozy last week announced a huge increase in the sales tax paid by the sector. His announcement comes at a crucial time for operator Euro Disney SCA, as it is hoping to attract bumper crowds next year for the 20th anniversary of its Paris theme park. The increase will push up sales tax on French theme parks from 5.5 % to 19.6%. It is part of a package of measures designed to reduce the country’s deficit and help it retain its valuable AAA credit rating. 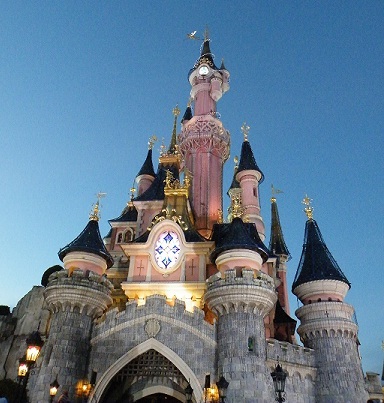 Disneyland Paris attracted 15 million visitors last year, making it Europe’s most-visited theme park. At present a one day adult ticket costs £45, compared with £40.80 at Staffordshire’s Alton Towers, Britain’s most-visited theme park. From 7th November 2011 an adult ticket to Disneyland Paris increases to £51. Disneyland Paris notched up a five per cent increase in attendance in the nine months to June. The Independent newpaper have reported that the Walt Disney company has fired executives at its $850m Hawaiian Aulani Resort and Spa and suspended sales of timeshares. There is trouble in paradise for Disney. The company’s latest resort is scheduled to open in less than two weeks, but while Goofy, Donald and the rest of the gang are packing their hula skirts and leis, the bosses back at corporate headquarters just fired the executives in charge of the new venture in Hawaii. Investors are bracing for bad news. Disney is spending an estimated $850m (£513m) building the Aulani resort and spa on the island of Oahu but to date, it seems, this has been something of a Mickey Mouse operation. The company has suspended sales of timeshares at the resort after a review of the costs of Aulani, which concluded that the business could be on course for operating losses unless it raised fees. The costs of running and maintaining the 21-acre resort had been underestimated and will outstrip fees from Disney Vacation Club members, according to reports in the Orlando Sentinel newspaper in Florida, often called Disney’s local paper because its catchment area includes the Disney World theme park. Jim Lewis, the president of Disney Vacation Club, the company’s timeshare division, was fired last Friday, shocking Disney insiders who had pegged him as a rising star at the company’s parks and resorts division. Two other executives are also out. One of them, Jim Heaney, a vice-president of Disney’s travel operations, said he was “bewildered” by the decision. 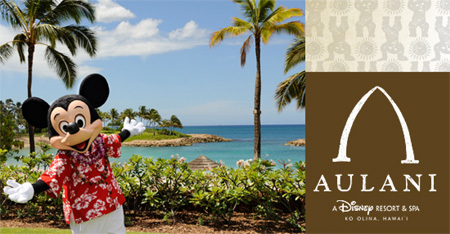 The debacle in Hawaii has enraged the bosses at Disney headquarters because Aulani represents a departure from their traditional mega-theme parks business and a test case for what they hope will be a lucrative new chain of mid-size resorts and spas across the US and beyond. Instead of imposing the company’s brand of Americana in carbon-copies of Disney World, the new ventures are meant to tack to the local culture and geography of their surroundings. Inside the resort, the company boasts, “lava rock rises up through the floor of the grand lobby as dual pools of water cross the expanse: one gently flows with flora while the other rushes wildly through. This Hawaiian philosophy of balance – bright and shadowy, brisk and slow, delicate and coarse – resonates deeply throughout the resort, which reflects not only the nature of the islands but the spirit of its people”. Disney acquired the 21 acres in 2007 and built more than 800 residential and hotel units. It had been marketing timeshares at Aulani for more than a year before putting the temporary halt in place last month. Now, it is in talks with the Hawaiian government to revise paperwork that estimated income from dues at the resort, and has told Disney Vacation Club members they will have to pay more than they were expecting if they sign up from now. Disney said on Monday that Mr Lewis’s replacement would be Claire Bilby, a 23-year company veteran who had most recently been senior vice president of distribution marketing and Asia Pacific sales. Such turmoil is not unknown for Disney, which suffered a much more financial painful crisis over the opening of Disneyland Paris. After protests from politicians and unions, the park opened to mediocre attendance and went through several senior management changes before becoming profitable for the company. The parks and resorts division is the second most important to Disney, after its television channels, outstripping even the famous movie studios business. In the first nine months of its financial year, ended 2 July, the division brought in revenues of $8.7bn, up 9 per cent on the same period a year ago. Its operating profit of $1.1bn, up 13 per cent on 2010, accounted for 17 per cent of the total profit for the group. Mickey Mouse may be the face (or at least the ears) of the Walt Disney Company, and investors still use the corporate nickname “the Mouse House”, but the adventures of that particular rodent are not what move Disney shares these days. In fact, it is more likely to be news from the company’s network of US and international sports channels, ESPN, that sends the stock up or down, as it did when Disney reported financial results last week. ESPN did not have the outlay of covering the World Cup football this year, yet its results disappointed because marketing costs and wages all rose, and there was a minor kerfuffle among the analyst community about the company recognising revenue from ESPN earlier than expected, artificially bolstering the latest results but raising questions about the final three months of its financial year. The media networks division – which includes ESPN, the US network ABC and the Disney Channel – accounted for 70 per cent of Disney’s operating profit in the first nine months of this year. Its movie studio was a distant second, accounting for less than 8 per cent. Disney’s shares are down about 12 per cent since the start of the year as investors fear rising costs and the prospect that advertising could be hit by a second downturn. But Bob Iger, the chief executive, put on a Disney smile last week and sounded as optimistic as ever about his main brand. The Disney Store in Cardiff will be hosting a Pin Party on Sunday 28th August 2011. 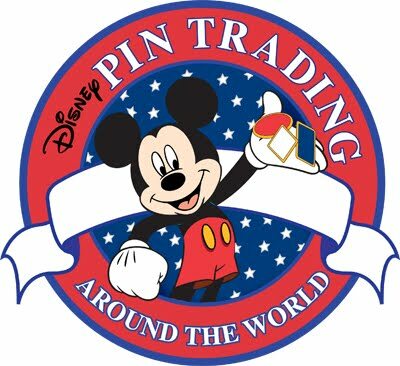 The Pin Party will run from 10am- 12pm and standard Sunday trading times apply, so the store will not be able to sell you any Disney merchandise until 11am. This is a chance for you to bring in your trades and get hold of some great items and meet up with old friends and make some new. For more information telephone 029 2034 1808. Euro Disney S.C.A. (the “Company”), parent company of Euro Disney Associés S.C.A, operator of Disneyland® Paris, reported today the revenues for its consolidated group (the “Group”), for the third quarter of fiscal year 2011 (the “Third Quarter”), as well as the revenues for the nine months ended June 30, 2011. “Our third quarter Resort revenues ended up 7% to the prior year, driven by increases in attendance, occupancy and guest spending. The growth in our Resort business for the nine months has been sufficient to compensate for the significant property sale we had in the third quarter of last year, resulting in Group revenues up 1% to last year. Resort operating segment revenues increased 7% to € 344.0 million from € 322.4 million in the prior-year quarter. Theme parks revenues increased 9% to € 197.2 million from € 181.2 million in the prior-year quarter, due to a 5% increase in attendance and a 4% increase in average spending per guest. The increase in attendance was driven by more guests visiting from the United Kingdom and Italy, partly offset by fewer guests visiting from France. The increase in average spending per guest was due to higher spending on admissions and food and beverage. Hotels and Disney Village® revenues increased 7% to € 137.7 million from € 129.1 million in the prior-year quarter, due to a 5% increase in average spending per room, combined with a 1.3 percentage point increase in hotel occupancy. The increase in average spending per room was due to higher daily room rates. The increase in hotel occupancy resulted from 7,000 more room nights sold compared to the prior-year quarter, including more guests visiting from the United Kingdom and higher group activity, partly offset by fewer French guests staying overnight. Other revenues, which primarily include participant sponsorships, transportation and other travel services sold to guests, decreased by € 3.0 million to € 9.1 million compared to € 12.1 million in the prior-year quarter. This decrease was due to lower sponsorship revenues. Real estate development operating segment revenues decreased by € 50.3 million to € 0.3 million, compared to € 50.6 million in the prior-year quarter. This decrease was primarily due to the prior-year € 47 million sale of the property on which the Val d’Europe mall is located. In the Third Quarter, costs and expenses remained stable compared to the prior-year period primarily as higher volume related costs, repairs and maintenance expenses and labor rate inflation were offset by reduced costs associated with lower real estate development activity. Resort operating segment revenues increased 6% to € 891.8 million from € 839.9 million in the prior-year period. Theme parks revenues increased 6% to € 497.6 million from € 468.5 million in the prior-year period, due to a 5% increase in attendance and a 1% increase in average spending per guest. The increase in attendance was primarily due to more guests visiting from France, the United Kingdom and Belgium. Hotels and Disney Village revenues increased 9% to € 366.0 million from € 334.3 million in the prior-year period, due to a 5% increase in average spending per room, combined with a 2.9 percentage point increase in hotel occupancy. The increase in average spending per room was due to higher daily room rates and spending on food and beverage. The increase in hotel occupancy resulted from 46,000 more room nights sold compared to the prior-year period, due to more guests from the United Kingdom and France staying overnight, and higher group activity. Other revenues decreased by € 8.9 million to € 28.2 million compared to € 37.1 million in the prior-year period. This decrease was mainly due to lower sponsorship revenues and a legal settlement gain in the prior-year period. Real estate development operating segment revenues decreased by € 40.8 million to € 11.7 million, compared to € 52.5 million in the prior-year period. This decrease was due to the prior-year € 47 million sale of the property on which the Val d’Europe mall is located, partly offset by a greater number of transactions closed in the nine months ended June 30, 2011. The Disney Magical Moments Festival was launched in April. It celebrates bringing the Disney magic to life for families and friends, giving guests even more opportunities this year to share magical Disney moments with their favorite Disney characters. This summer, the hit show Tarzan[TM]: the Encounter comes back to Disneyland® Paris. The Group operates Disneyland® Paris which includes: Disneyland® Park, Walt Disney Studios® Park, seven themed hotels with approximately 5,800 rooms (excluding approximately 2,400 additional third-party rooms located on the site), two convention centers, Disney Village®, a dining, shopping and entertainment centre, and a 27-hole golf course. The Group’s operating activities also include the development of the 2,230-hectare site, half of which is yet to be developed. Euro Disney S.C.A.’s shares are listed and traded on Euronext Paris. If you are going to Disneyland Paris this month how would you like the opportunity to have an exclusive photo shoot with photographer Hugo Burnan, the Official Royal Photographer for Catherine Middleton and HRH Prince William’s Wedding. Disneyland Paris announced this week that as part of the ongoing Magical Moments Festival, Royal Wedding photographer Hugo Burnan will be on-hand at the park to hold exclusive photo shoots with a select number of families each day. Burnand will be photographing six lucky families each day. The shoots will occur from August 12-15, 2011. Families visiting the park on these dates can apply for a free place at facebook.com/disneylandparis. If you are a parent and are considering taking your first trip to Disneyland Paris with your children, where do you start. There are many blogs and forums on the Internet that will give you practical hints and tips about taking children to Walt Disney World, but what about Paris. Well fear not, your search is now over because a new blog launched last week that does just this. The Kids in Disney blog gives practical information about taking children to Disneyland Paris as well as other Disney Parks around the world. From saving money to surviving the summer season Emma over at Kids in Disney is covering it all. Today sees a fantastic interview with a Cast Member about what its like to work in Disneyland Paris. Disneyland Paris visitors were evacuated from the park for an hour last weekend after an unhappy customer told staff he was carrying a bomb. The 57-year-old man was queuing in the rain with his family at the theme park near Paris when he made the remark. The area was evacuated and police called to the scene. A sniffer dog found no sign of explosives. The man, who has no criminal past, spent Saturday night in police custody and was released yesterday after paying an undisclosed fine to the public prosecutor. He will appear in court at a later date and could be ordered to carry out community service or take a citizenship course. A representative from the Seine-et-Marne préfecture told Le Parisien that the remarks were “in bad taste, given the international context”. The hoax came less than 24 hours after two attacks in Oslo killed more than 90 people.